The money is in the list has been a long standing saying, at least in the affiliate community. Nowadays everyone, not only the affiliate community, is trying their best at deceive you of your precious email. And it’s easy to understand why, having a direct connection to your visitors, users and prospect is immensely valuable. In this post, I’ll go over some conventional and some less conventional tricks on how you can maximize growth of your list of subscribers and emails at a steady pace. I’ll go over where I collect e-mails and how you can leverage content of different kinds, including video and audio to catch people’s email. Let’s get your list growing! You have a lot of possibilities to collect email on your website so you should take and use every chance you have, without making it too unintrusive, of course. Always be on the lookout for new places where you can implement new points of conversions. 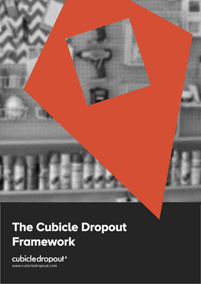 Let’s go through how I collect email on Cubicle Dropout. After the posts in the blog section, I have one important opt-in. The reader has the ability to download my framework if they want too. I also have the ability to add a custom opt-in similar to the In post opt-in below. Any time the user register for the Q&A or submits a comment in a blog post I give them the ability to subscribe to my newsletter. Of course I leave it checked! If the user is about to leave I have an exit intent pop-up that show up. It triggers after a certain time on the site and whenever the user moves his or her mouse outside the viewport, through wards the back button or address line. Many users will end up on the start page for their first visit. Therefore. I have a very prominent feature above the fold. 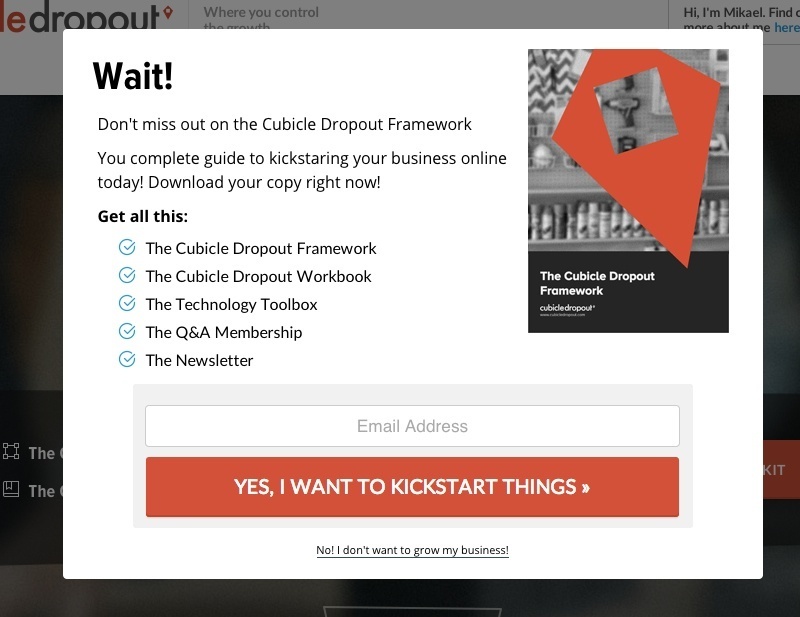 It’s a full on call to action to download the Cubicle Dropout framework using a lightbox after the click. Using WordPress shortcodes, I can implement callouts throughout my posts or pages that invite my users however I like. Here is one where the user can share in social channels or subscribe to the newsletter. 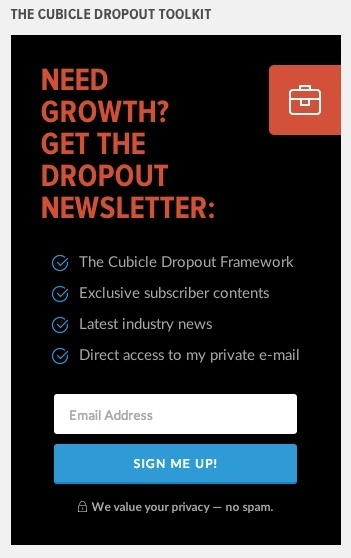 On all pages with a sidebar, I have implemented a form with the newsletter. It’s all black so it’s quite the contrast to other elements on each page. This is the slide-in that show up one the user has scrolled far enough down the page. Finally I have a top bar that sticks with the user while he or she scrolls down the page. Another great example of how you can grow your visitors even further is to make use of gated bonus content (or lead magnet) that you need to subscribe to get access too. By bonus content in this I mean content that compliment an article or blog post in such a way that it adds even more value. Above example is from Backlino.com. Basically, anything that easy to package and often help the user implement what’s though in the article or blog post itself. Video is growing more and more every day and it’s a highly effective way of drawing attention. It’s also a great way to grow your email list as you have the possibility to add a one more opt-in form. Being able to use opt-in over video (and the common video services, including Youtube and Vimeo) you need to use either use that host your video on your own or that can work as a overlay on mentioned (and other common) services. 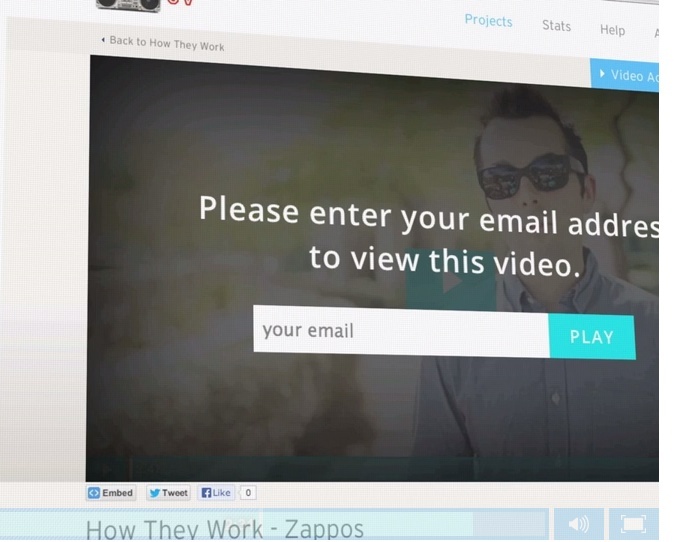 Opt-in with video gives you a lot of different options to attain more subscribers. Most commonly you can gate the videos as mentioned with the add-on content but you can also have your videos play as normally but add opt-ins either whenever you want in the video (research say about 15 seconds in is good) or at the end. As always you should test if possible! Wistia (host your video) not only have the ability to add opt-in to your video you can control a bunch of other things such as statistics, appearance of your player, controls, social sharing, and adding call to action. One of the sleeker choices without a doubt! Wistia comes with a free version, but you have to live with some branding and restrictions, next step is a monthly fee. I highly recommended Wistia. Herocaster (overlay) is a WordPress-plugin that offer an overlay for your videos (supporting Youtube, Vimeo, Amazone, Dropbox and others…). 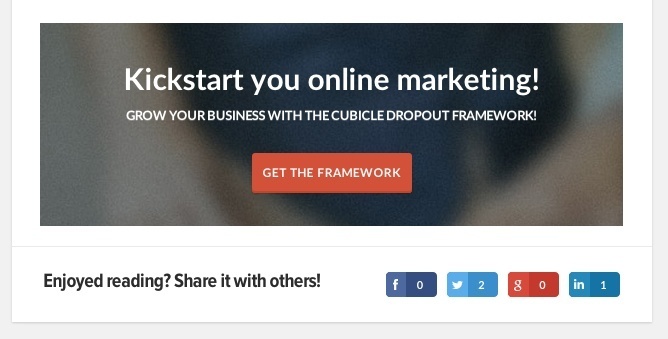 You get the ability to add opt-in, social sharing, call-to-actions and more. 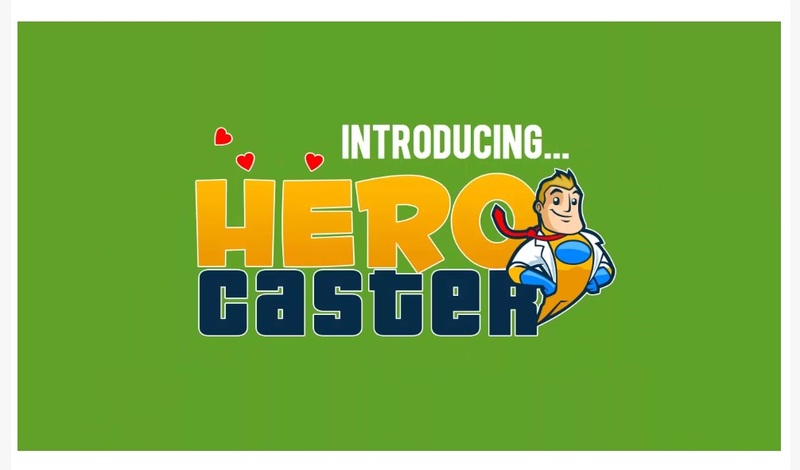 Herocaster has a one-off cost of 22 USD for a single site. I have fiddled around with this one but not tried it a real situation so the verdict is not final as of yet. Last one vooPlayer (hosted and overlay), is a tool that I have not tested yet. It’s similar to the two above but have some additional features that are worth mentioning. You can both add a social lock, meaning you have to share it to continue viewing it. You can also A/B-test video. Note that the reviews are mixed over at WordPress.com so be cautious. A very effective way of building your list, is to not only provide immense value, but also incentivizing. This a particularly great way of doing it if you are in the e-commerce field where you have more tangible products, discounts or similar to throw around. Note that the perceived value of your offer must outweigh the perceived cost for the user to leave the email. 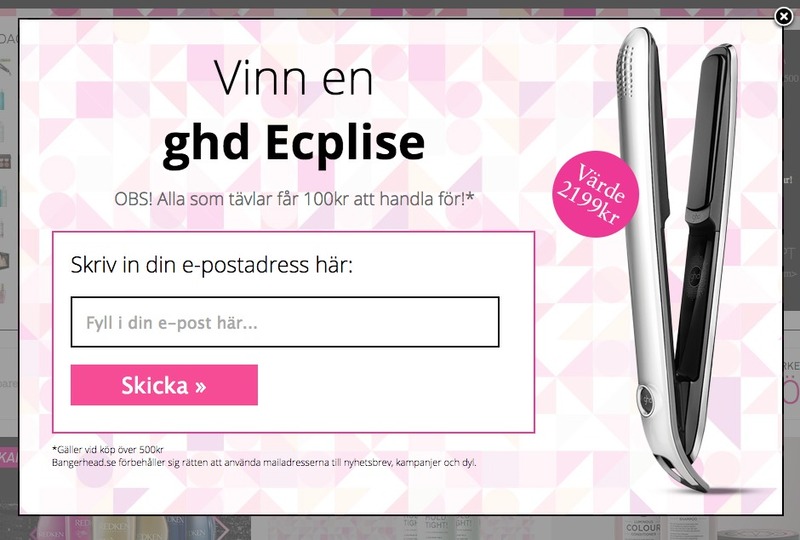 Below is an example from Bangerhead.se, a Swedish beauty shop. They make use of both a competition where you can win tool to curly your hair with (worth nearly 300 USD) AND a free gift of 15 USD that you can shop with if you sign up. Final one isn’t as much a trick rather than a mindset, but it can never be stated too many times! Testing is king! When it comes to email testing is one of the most important aspects. 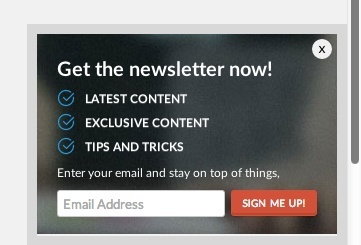 While testing the content of your email itself is another story you should always test the placement and content of your newsletter and other points of conversions that drive email. Make sure you measure each element on their own so that you can follow up on how they perform. When you tracking is in place test your forms in different locations, in different shapes, with different communication, animations, call to actions and so forth. What yields the highest conversion? As you can see by just these 5 different tricks you can do a lot to gain better conversions when it comes to email and collecting your visitors email adresses. 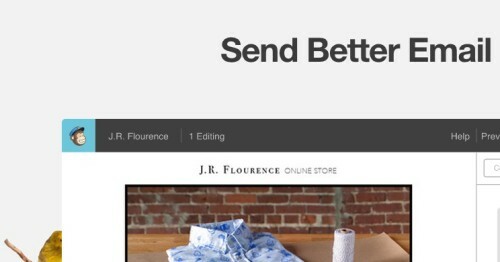 What’s your best tips on email? Anything I missed in this post or something I can expand on?